Arches Local confirmed at its recent partnership meeting that it will match the £10,000.00 capital investment increasing total funds available currently for the Pocketpark to £25,000.00. 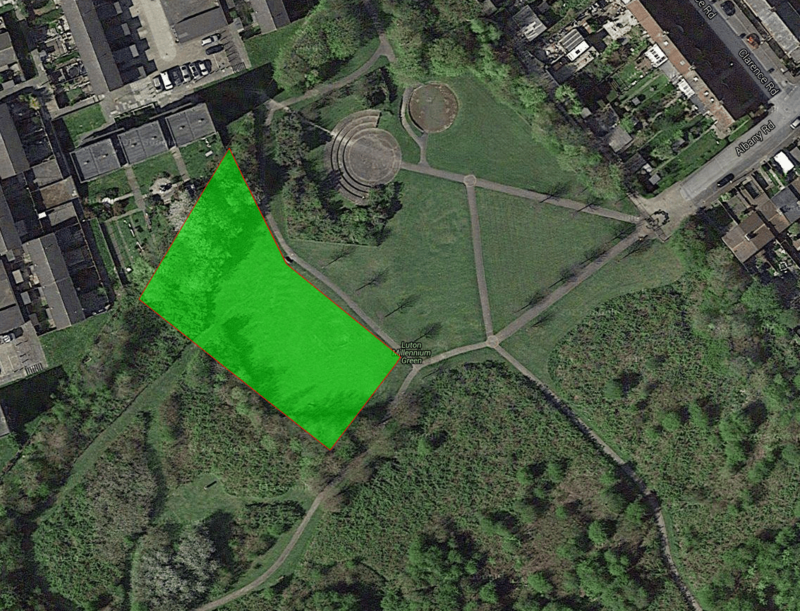 Please see below photo for the approximate location for the new Pocketpark at Luton Millennium Green. Flanked by a burnt out children’s’ play area and a redundant amphitheater surrounded by a large area of gang mown grass. The site offers fantastic views looking out across Medway but is actually hidden from view to passer bys. We hope that the Pocketpark will breathe new life into the area, with further investment, and continued community engagement, will ensure the parks legacy as a community asset for future generations. More than 80 unloved and neglected urban spaces across the country will be transformed into green oases for everyone to use, thanks to a share of a £1.5 million dedicated fund, Communities Secretary Greg Clark announced today.